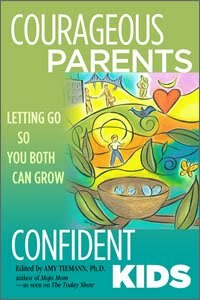 Now through April 21st, you can download the new book Courageous Parents, Confident Kids: Letting Go so You Both Can Grow. It's a complilation from 14 writers, and it's encouraging and provides strategies to become your own parenting expert. The book features also features a chapter on Kidpower - a workshop I took years ago.